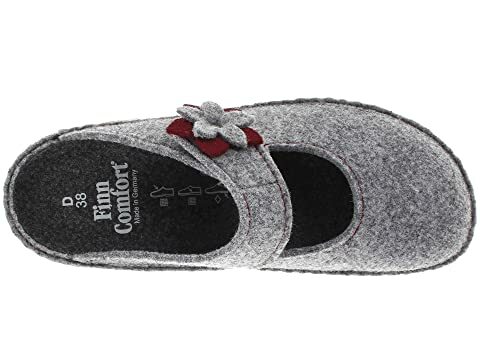 The Alberg features the original Finn Comfort® Classic footbed which has a firmer feel. 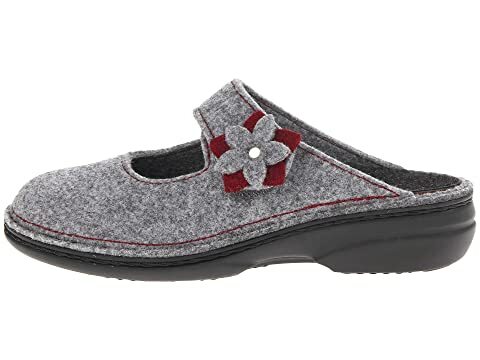 This sweet little slip-on will keep you cozy and stylish all season long. 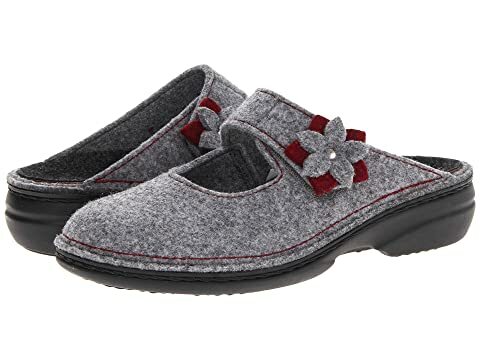 Premium wool felt upper with a decorative flower accent. 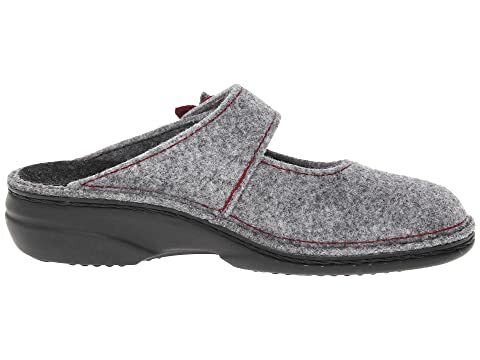 Slip-on silhouette for easy on-and-off wear. 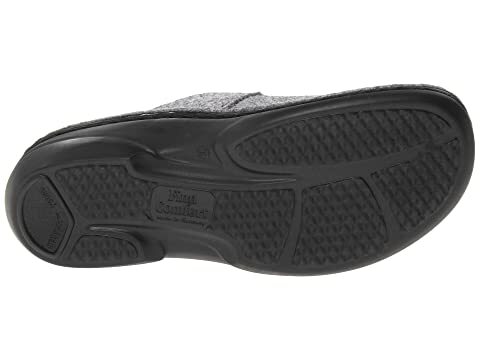 Leather lining and sockliner lend breathability. 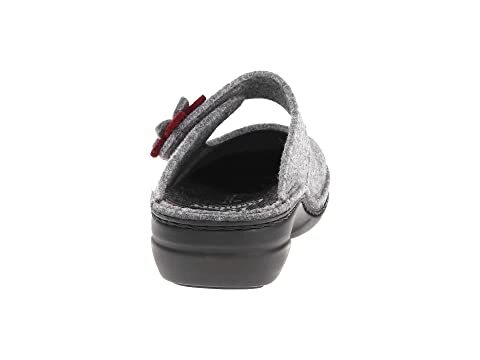 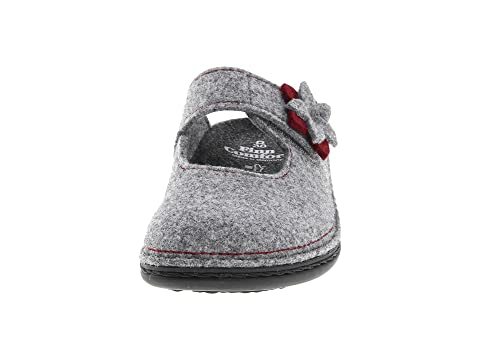 Removable, firm cork footbed with a felt cover.